Whether you’re years away from gray, have plucked a few strands, or diligently color every 6 weeks, here are five things that determine a silver hue (luckily, two are within your control). Age. Hair goes through growth cycles every 3 to 6 years, says Paradi Mirmirani, MD, a dermatologist in Vallejo, CA. And as you make new hair with each cycle, it’s more and more likely that something will go “wrong” with the pigment. Some people can go through seven or eight cycles before they notice any stray grays, and Mirmirani says most of her patients seem to develop them sometime in their 30s—but she’s seen it happen in people as young as 8 or 9. The good news: Of all of the unpleasant side effects of aging (wrinkles, anyone? ), this is one of the easiest to cover up. Genetics. You probably got your natural hair color from Mom or Dad, and now you’re likely to follow their pattern for graying as well—genetics plays an important role in when you start to lose your pigment. “If both of your parents are prematurely gray, then you’re more likely to go prematurely gray than your friends are,” says Carolyn Jacob, MD, a cosmetic surgeon and dermatologist in Chicago. And people with jet-black hair tend to go gray faster than blondes or brunettes, she says. Smoking. While there hasn’t been any large, definitive research, several small observational studies have found a link between smoking cigarettes and developing gray hair, Mirmirani explains. The phenomenon may be related to the free radicals that are produced while smoking, which we already know can contribute to other not-so-great things, like wrinkles and yellow teeth. “Given all of the various harmful effects of smoking, I think hair graying is probably amongst them,” she says. Stress. 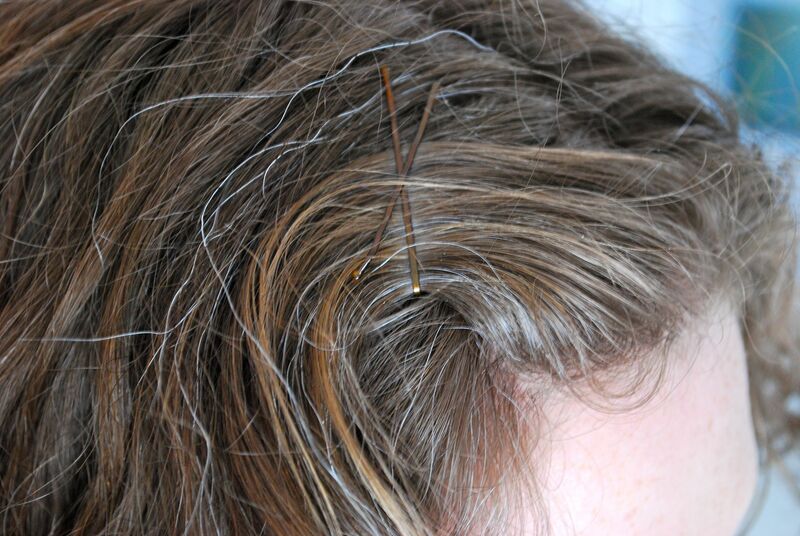 Wondering if your job (or your kids or your mother-in-law…) can really give you gray hair? Day-to-day stress probably doesn’t affect your hair color, Mirmirani says, but major anxiety might. While the exact science isn’t quite there yet, we do know that big, stressful events can have a physiological effect, which could possibly spur changes in pigmentation and hair cycles. Medical conditions. While it’s very rare, certain metabolic conditions, severe nutritional deficiencies, and genetic disorders can cause gray hair, Mirmirani says. There are also some chemotherapy medications for cancer patients that can interfere with the pigment-making mechanism. Not to worry, though: People usually return to their natural color after treatment.